Waddell Barnes, M.D., a supporter and avid horticulturalist, led a successful effort to transform the University's existing landscape into a lush showcase for hundreds of varieties of regional flora and fauna. 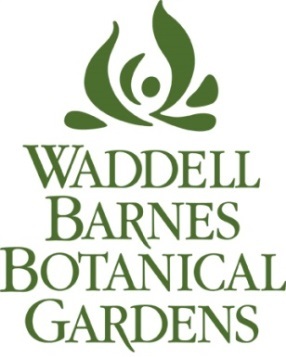 In 2003, the Board of Regents officially designated the Macon Campus the Waddell Barnes Botanical Gardens, which are a delight and inspiration for students, visitors and gardeners. Click here to print a membership form. For more information, please contact Middle Georgia State University Foundation at 478.471.2732 or development@mga.edu. *Charter membership expires May 1, 2017; thereafter yearly. Memberships are non-transferable, non-refundable; benefits subject to change.